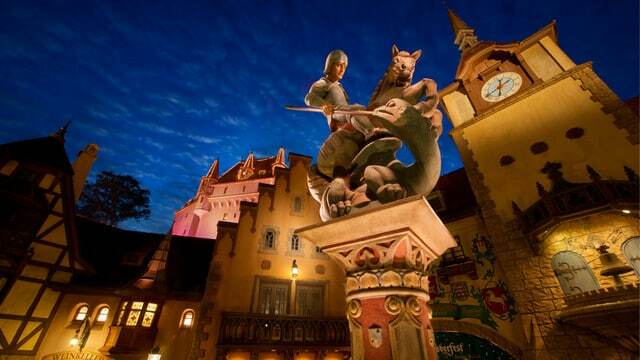 Description: Food and shopping are the main attractions in the Germany pavilion. Using snack credits for caramel treats at Karamelle-Kuche is 1 of our favorite things to do here. A German band appears about once every hour for 25 minutes inside the Biergarten restaurant. Tip(s) for Enchanted Tiki Room: There's a lovely miniature train village located outdoors as you walk toward Italy that is worth a stop.